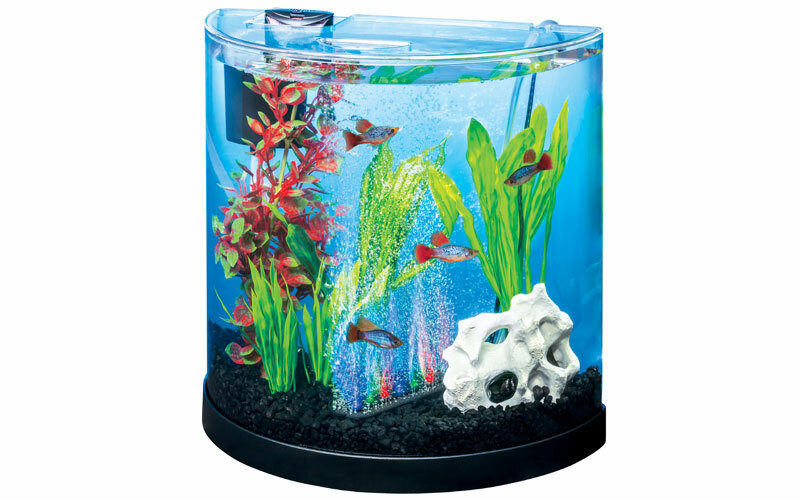 The perfect home for all your swimming buddies and an ideal tank for young hobbyists, the Tetra ColourFusion 11L Half Moon aquarium features a beautiful, seamless curved front and clear plastic canopy with feeding hole. It includes auto-changing LED bubbling AirStone, which provides a rainbow of bubbles as well as water movement and light dispersion throughout the tank. The kit comes complete with a powerful and quiet Tetra Whisper internal filter and Whisper 60 air pump, which drives both the bubbling AirStone and filter. For more information, visit tetra-fish.com. Does it come with all those things? thank you for theTetra ColourFusion 11L Half Moon aquarium!